If I know I'm supposed to be blogging, but I don't want to be blogging... what do I do instead. I'm supposed to be writing about strategic analysis of the game, the role of the FRC coach in the box, and Championship level alliances? How about instead I fall into some random FRC rabbit hole... like say, about FRC Team Mottos. Someone posted a compiled list of every FRC team motto, in one Google Doc. There is some real gold in there. For those that don't know: when a team registers with FIRST, one of the fields they can fill out is "Team Motto". This is something that only the "official" team contacts can edit. (On 148, this means only "the boss" and I can edit it). Most teams discuss their motto as a group, then update it. Some teams choose a motto when they first startup and never change it. Other teams have a seemingly more random process. Lots of "FIRST" vs "first" puns. I'm not digging it. Initial thought after realizing this is that maybe I should walk away from this blog post immediately. 58's 67's 107's and 111's mottos seem to be a little "on the nose." True story: at IRI in 2006 I was one of the MC's and Dan Green gave me a lecture on the correct pronunciation of Wiiiiiiiiildstaaaaaaaaaaaang. "John it's not WilddddddStaaaAAAaaang. It's Wiiiiiiiiiiiiiildstaaaaaaaang. Try it again." 6214... you're well on your way. Lose the nerd pun, keep the Drake quote. 63: "Wearing the same shirts doesn't make a team" is straight up throwing shade at all of us. "Look man... we know we've got some dynamics issues but you don't have to call us out..."
I think "Student Built, Student Run" Team 100 would appreciate 148's Stupid Mentor Tricks. You'd be proud to see how much nothing our mentors can do. This was at the end of yesterday's meeting. As I walked up: "Man, I can't wait until I graduate and get to touch the robot." - "Yeah, I'm not allowed within 100 feet of it." 128: "Student Designed, Student Built, Student Run - Mentor Approved"
470: "Student built, Mentor approved." 4123: "Student built. Mentor approved. Fear the gears!" After reading through more - there seem to be a lot of #AllStudentEverything mottos. I don't want to alienate people... Maybe I need to be more clear that I am, in fact, PRO student. I would never encourage banning ALL students from the shop, even when they're being SUPER annoying. Yes, Carlos: that was directed at you. When I read 166's motto, I do the New Hampshire accent automatically in my head. It just happens. I can't control it. I've seen the size of 365's team, and I believe they are in fact making miracles happen for MORE than one student at a time. 175: "Safety First" - On 148 we prefer "Safety Second... Innovation comes first!" No seriously... 175: What about something like "All Smiles"? Or "22 years later, and we're still all smiles!" Or even go edgy: "The top students get BUZZed here in Enfield, CT!" I mean, that's just an awkward back to back... They're in a "more than robots" arms race! I hope 229 changes theirs to: "We don't just build robots, we build EVERYONE's FUTURE" or "...we build a BETTER FUTURE for EVERYONE!" 229 - you guys can use that for FREE - no royalties necessary. I'll just subtract it from my annual donation to the Clarkson Fund. Okay, no joke. "The Boss" and I were just talking about it, and after reflection... we're pretty sure one (or both) of us wrote that motto in like 2003 when we were CU student mentors. There are a lot of "we build people" type mottos. That's probably one of the most popular themes, only following behind "a pun involving our team name" type mottos. I'm upset that 177's motto isn't: "Statistically, we're going to Einstein this year." I guess maybe that's what they mean by: "Have Fun". Who am I supposed to be afraid of, I'm so confused? 1322 says: "FEAR OUR BUBBLES"
2090 "Work Hard, Play Hard" - that is literally the unofficial motto of IFI's CEO. Call me. I'm kind of upset that 148 took our motto seriously. All the cool kids did funny mottos. Who doesn't love "Delicious and Nutritious" 254. 545... "WE'RE NOT DOING THIS BECAUSE IT'S EASY; WE'RE DOING IT BECAUSE IT'S HARD." I know you're passionate about this, but you don't need to yell. I love a solid pun in the motto. Especially if it is a liiiiiiittle bit subtle. 86's is amazing. Also, all these years later: 217's motto is still the best in all of FRC. I've never judged a Chairman's Award, but I bet that motto is worth +50 points. Seriously... 236's motto HAD to have contributed to their Hall of Fame status. Now I want to do a correlation study between "Great Mottos" and "Chairman's Awards"
Forget it. 842 broke my hypothesis. "There is no spoon." is a solid quote, but does it scream: "Hall of Fame" level motto? It does not. 3310 - "Once you go Blackhawk, you never go BackHawk"
That's not really their motto... but I made you look! "Team Appreciate" is way more committed to this number themed name than you are, "Team Mean Machine"
"If it ain't smokin, it ain't broken." - No editorial needed. 237 says: "Black is Back"
121: "Quality Robots Since 1996"
What if 121 ever built a "not" quality robot? I mean. Like a robot that even they admit they do'nt like very much. 148 has plenty of robots where we're like "That robot is not good." Anyway... do you think they'd change the motto? "Quality robots since 1996!... except for 2020... look, it was a rough season. We just didn't hit the mark, and something felt a little off.... Life is iterative, right?" That motto would be even funnier if 121's rookie year was 1995. 148: "Quality Robots Since 1993." Everyone knows the pink team... THE pink team... 172! "You know... THE pink team!" Some of the sequential mottos write their own jokes... Do I even need to comment? 256 "Where are your safety glasses?" - So now we know... THIS is where the red shirts come from. I take that back... I searched "safety" on the list and I learned 256 is not alone. I would love to see the response motto: "I'll show you where the safety glasses are..."
"Waffle Bacon Waffle Bacon Seven Fifty Three"
I would like Morgan Freeman to read that motto out loud. You just re-read it in Morgan Freeman's voice - right? I was hoping 3410 was from nearby 1678, but they're not. Alternate Citrus Motto: "If life gives you lemons, whatever... you still get to go to Einstein." I love a good acronym motto, but it's a little weird to have the acronym AND the explanation all in the motto. Like... make the acronym your name, and then use the motto to explain it. Also - you don't need to put a period between every letter. We get it. B.R.O.B.O.T.I.C.Z. is an acronym. PS - This is a haiku! PPS - You just counted the syllables on your fingers, right? 359: "Its not all about winning...its teamwork, responsibility, and commitment" made me do a double take. "It's NOT about winning... well it's not ALL about winning... some amount of it, is in fact, about winning. But in addition to the winning... there are other, also valuable things to be had." 568 - "adapt, migrate, or die"
5068 - "Ooh .. Kill 'Em!" Based on this trend, I'm nervous that Team 50,068 is also going to be a little intense. "To KISS or not to KISS..." - I mean, always KISS... when it comes to robots. "If you can't fix it with a hammer, you're thinking too hard." - Woodie is so, so proud. 2993 - "Ask Erik" - I like to think Erik has been off the team for 3 years. Erik is gone. His legacy remains. 5712 - "It's OK Mr. Urbaniak"... This just raises so many questions. Who is Mr. Urbaniak? What did he do? When did the team decide to forgive him? I feel like there is a Lifetime movie about this team. After a few hours of this... the nerd jokes are starting to be painful. "Oh, that's really clever... wow." has turned into: "I'm not going to do FRICKING a math problem just to understand your DANG motto." What if our team is ugly, AND lazy? "Designed by Team 640, Engineered to Last" - FACT CHECK: I would like Team 640 to produce their 2001 robot with a picture of today's New York Times so we can see if it lasted. "Designed by Team 148, Engineered to degrade without constant-maintenance, self-destructing within hours of completing the season and then eventually sitting broken in a closet collecting dust." 701: "Einstein 2016!" - This one is easier to fact check. No NYT needed. 2035 & 2046 are on the same page, but 2036 knows what's up... we've all been there. 1296: "It's a Cat(apult)" - Aren is gone, but his memory remains. I love that some team decided: "We love Paul Blart" is their perfect message to the world. I'm not saying it's a bad movie, but is it "this movie defines us as a team" good? 2877 - "North & South together as one!" - is this a #2Champz reference? 4680 - "Bark Bark - Woof Woof"
We just spent a lot of time laughing about the one above. It then caused us to decide: "THE SHOPDOGS" would be an amazing team-name. 4680 should change their name to "The Shopdogs". "What would 148 change our name to if we could re-brand?" - "Probably just the word 'Black' written in black on a black background." Get off the fence 751... you need to decide what kind of team you're gonna be. You've got two options. Yes, 753 got a 2nd call-out on here. Their motto is now a 148 meme... and potentially delicious breakfast. I'm gonna be honest with you: If your motto is in Latin, I didn't understand it and didn't bother to look it up. Any slogan which feels the need to explain itself makes me laugh. Like, all these teams were like: "This is SUPER clever, but maybe people won't get it? How will they know how clever we are. AHHHH! We can explain the cleverness!" My favorite is: "BOT <3 (BOT Love)"
We're still talking about 753. Now we're trying to decide if "Waffle Bacon" is some sort of thing we just don't understand. We googled it, and all we found were pictures of waffles with bacon. So now we're hungry, and still confused... and we have that slogan stuck in our heads. wafflebaconwafflebaconsevenfiftythree. Longer discussion... how do you make Waffle Bacon? Is it like, bacon laid into a waffle iron? Is it just bacon in a waffle pattern? If you guys merge, do you become some sort of spark themed Voltron? 1159 - "It's not ghetto; it's pragmatic." - It can be both, right? BJC: "Why do They want to fine him?" Carlos: "For balling so hard, obviously." BJC: "That’s not like... a fineable offense"
The Boss: "Obviously you’re not balling hard enough..."
BJC: "Look I’m just saying this guy needs to find a lawyer to get him out of this fine." 1157 - "Cable not Dish"... okay, you've piqued my interest. Are you sponsored by some media company? No... You're team name is "Landsharks"? I feel like you've got a wasted opportunity here. How about: "Don't open the door..." or "Knock, Knock." 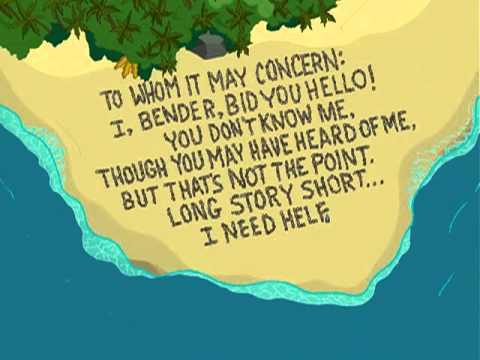 or even something terrible like "Taking STEM beyond the shoreline..."
4074: "Beware of... Well.. Just Beware" made me giggle a little. "Kickin bots and sayin thanks" - What do you think that one started as before it got censored? 3999: "We think thats a terrible idea." - This could be the 148 design team's motto. "This is the best bad idea we currently have." Of all the many self-deprecating mottos on the list, this one made me smile: 1502: "We make easy things look difficult every day." And another, right below it! 1516: "If there is a harder way to do it, we can find it." 1647: "We just build robots... nothing else." - C'mon, this is your chance! Yo, Sidoti: "Are you on track, with this project?" "I hope you know you're now on track for a lot of train and track related puns in your future." "You're on the express train to pun town.... Bedford. A Bedford Express... get it?!?" There are a lot of insanity related quotes. Does it take an insane person to enjoy this hobby? Do we take pride in the craziness? 1569: I was manager of the VEX marketing group for a few years, and you guys are only like 2 beats removed from their corporate mission statement: "Inspiring the students of today to become the innovators of tomorrow." Kudos! There are quite a few slogans which are just lists of inspiring words. It's like "hey, we can't decide what to put on there, what is most important?" - "Just throw all the buzz-words in. People love inspiring buzz-words!" "Excite, Embolden, Influence, Motivate, Provoke." - Nailed it. How about: "KISSSSSSSSSSSS - Keep it Simple, Safe, Spirited, SportSmanlike & Spread firSt'S SponSorS' ethoS"
1902: Exploding Bacon... "Where pigs fly." <3 So. Good. 2424: "The team you don't want to meet in a dark alley." - I mean, I wouldn't want to meet any team in a dark alley. "Why are you guys back here? Do you want to come back to our shop and build there? We have lights, and brownies with raisins in them... it's much more comfortable." 514 says: "Done is good"
148 says: "Done is a 4-letter word" Then we realize... "good is also a 4-letter word. That's weird. Maybe 514 has this figured out. DONE... is.... GOOD. Let's shut it down for the night and go get a milkshake." 589 - "We're Falkon awesome!" I wonder if the mentors / teachers are in on the joke, or if someone snuck it through? "Don't Worry About it - We Got This" - 2554, I like your style! Maybe "THIS IS FINE" should be 148's motto??? I'm starting to appreciate the mottos more. I'm going to start playing a game in the shop where I say a motto, and Wranglers need to tell me if it's a real motto, or one I made up. What is 148's motto you ask? "Maybe our motto shouldn't say Professionalism at ALL times... I mean, what about like Professionalism 80% of the time? How about: 'Professionalism the majority of the time. Like a solid 51% of the time: Professionalism... goofiness the remaining 49% of the time' does that work better?" I've been told... the mottos aren't actually a thing anymore. The spot where team contacts can enter the mottos is now gone. TBA used to display mottos on team pages, but removed this functionality. So now... the mottos you see in the Google Doc, are the mottos FOREVER! That makes it so much better in a way, doesn't it?